A pair of Gold Angel Wings featuring a Gold glitter design and elasticated straps ??? Ideal for any fancy dress occasion! Every Angel needs their wings, so complete your look with these fantastic Gold Angel Wings. These Gold Angel Wings?? ? ?come complete with a pair of angel wings, with elasticated straps. 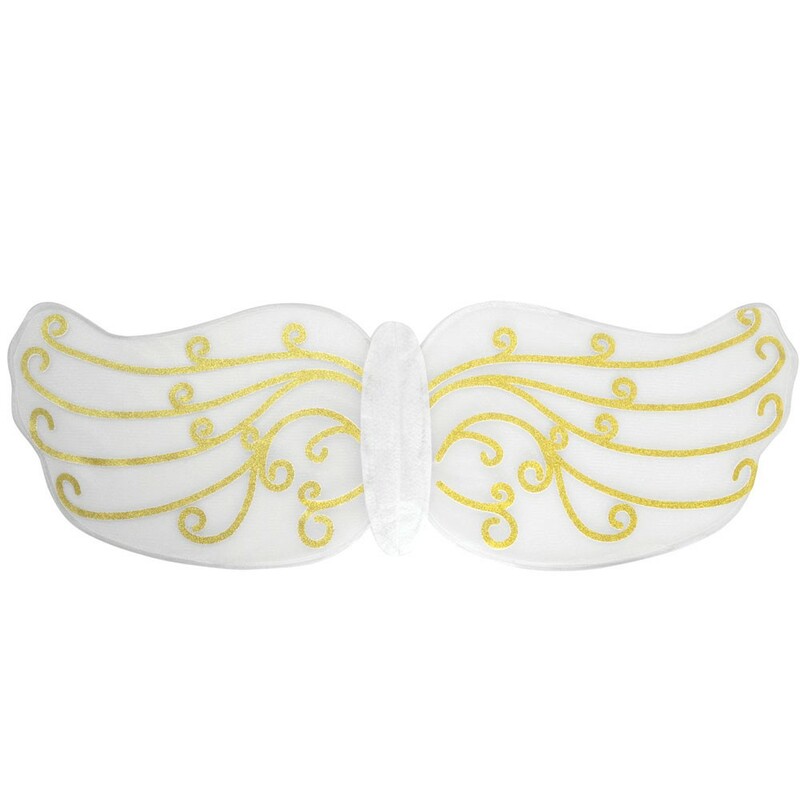 These white wings featuring a delicate gold glitter design and a curved wing shape. These Gold Angel Wings also feature elasticated straps for comfort whilst wearing. No matter what the fancy dress occasion, these Gold Angel Wings?? ? ?will add the perfect finishing touch to your fancy dress look. A pair of Gold Angel Wings featuring a gold glitter design and elasticated straps.